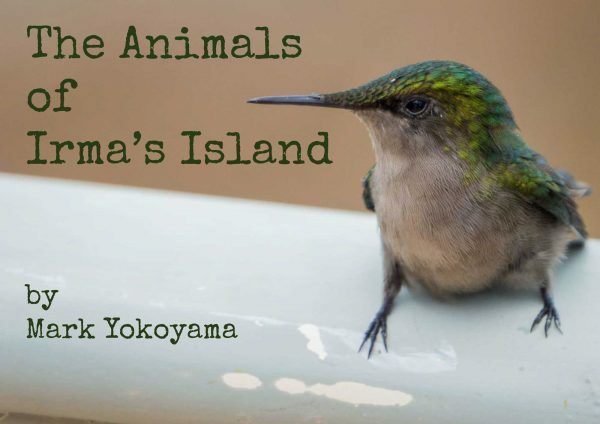 The Animals of Irma’s Island is a free ebook about St. Martin wildlife after Hurricane Irma. With their fifth annual Endemic Animal Festival coming up on May 20th, the Les Fruits de Mer association released a new ebook. The Animals of Irma’s Island is full of stories about local wildlife after Hurricane Irma. You can download it for free at the group’s website. The ebook was made for this year’s Endemic Animal Festival. This event celebrates the animals that are found only on St. Martin or only in our region. The 2018 theme is Made Here. The Endemic Animal Festival is a free public event for all ages. Activities include an Endemic Animal Discovery Station, birdwatching, and wildlife-themed art activities. Guests will learn about Plantilles, a series of native plant and community garden projects at The Old House. Several local experts will explore the Made Here theme as it relates to local wildlife, heritage and culture. The 2018 festival will be held Sunday, May 20th from 9am to noon, and is made possible by support from our sponsors: BirdsCaribbean, Delta Petroleum, Happy Wine, Location De Bennes Diligence Express, Lagoonies Bistro and Bar and Tri-Sport. Visit lesfruitsdemer.com for more information about the festival, and to download The Animals of Irma’s Island.